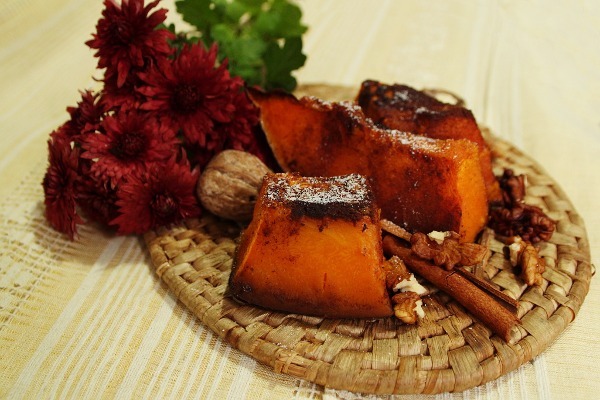 Take the pumpkin slices, add plenty of cinnamon on top for good flavor, maybe also some vanilla sugar. Bake it in the oven. Eat as is or with some honey. That’s autumn delight.